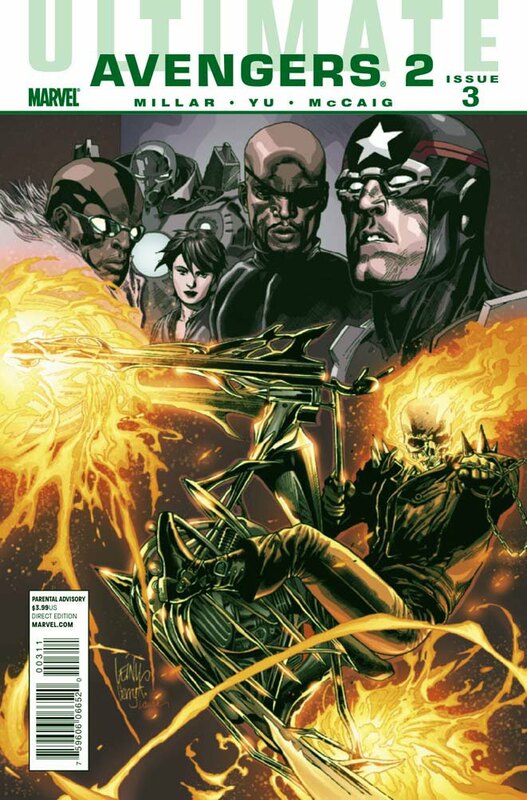 Okay, so I may not be the biggest fan of ongoing titles set in alternate continuities, but hot damn, if the real Ghost Rider's book ever revv's up again, Marvel needs look no further for an artist than the pages of current alternate-hit; Ultimate Avengers 2, to see the amazing job Leinil Francis Yu is doing on the character. Easily one of my favourite Marvel properties, Ghost Rider is one of those characters that often gets relegated to the back-burner in-between fads, so it is nice to see a big deal made out of his inclusion in the title as well. The third issue as it happens is released this Wednesday stateside, but you can catch a free preview of it now with a simple click of the jump.